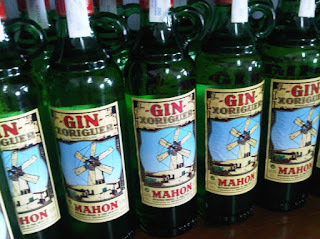 Menorca has a gin distillery! Sweltering in the late-afternoon heat of Mahon, we chanced upon Xorigeur while wandering around the port. For a town that seemed asleep as we walked alone past closed shops, inside it was as if a bus had dropped off a load of middle-aged drinkers who were now over-excitedly helping themselves to the wide choice of spirits while barging others out of the way so they could take a picture behind tables crowded with bottles. Not knowing if we could just join them or if we had to pay, we just grabbed glasses and poured samples for ourselves. Gin, Triple Sec, numerous multi-coloured herb liqueurs, all sorts of things. I was most interested in the gin. 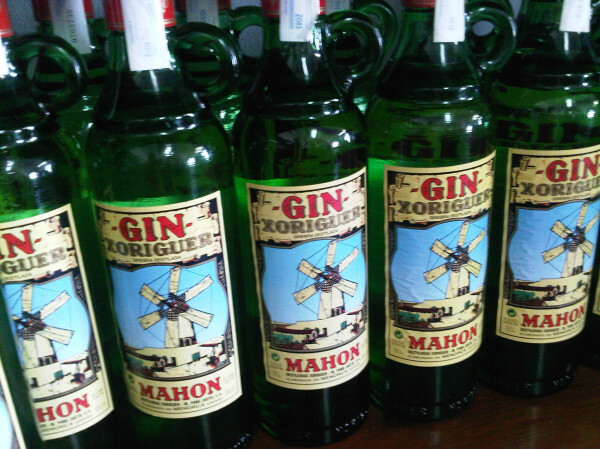 It's leftover from the British rule of the island but is now one of the Menorca's flagship local products. It's very good too. Light and smooth, dry and bitter, lots of lemon and a floral, peachy quality which is really nice. It's often served as pomada, a mix of gin and bitter lemonade, but I favour it with tonic. As nice as it is, it just makes me wish I could have the G&T I made myself a few weeks ago. And if you like G&T then I urge you to try this combo because all of a sudden, in one perfect glass, G&T changed. It was like tasting it in 3D; G&T squared. It was simple, too: Sipsmith's glorious gin, Fever Tree's amazing tonic, lime, ice. Gintastic! I bought myself a litre bottle of Xorigeur gin a few days ago and I need to empty it before we leave... Anyone know any good gin cocktails I can easily mix up?! I've no idea if they've still go it, but Utobeer was stocking the gin while I was working there. We were quite partial to it. It's all about gin and lemonade. Call me a Philistine, watch we not care! Hendricks Gin, Fentiman's Tonic, slice of Cucumber, squeeze of Lime. 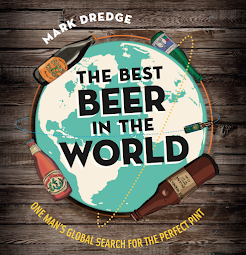 GBBF: A Week of Events?